Apple Clean is a long-established and highly respected provider of professional carpet, curtain and upholstery cleaning services for homes and offices in Sussex, Surrey, Kent, Hampshire and Dorset. For over 25 years, we’ve been known for our friendly, trustworthy and top quality service for anything from small stain removal jobs to ongoing commercial cleaning projects. 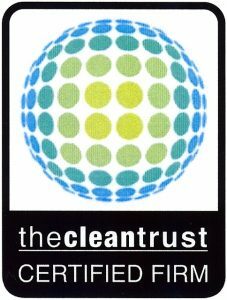 For our customers’ peace of mind, Apple Clean is proud to be carrying several industry certification badges to verify the high professionalism and reliability of all our services. Apple Clean is a professional NCCA member. The only recognised trade association in the UK that specialises in the professional cleaning of carpet, upholstery, curtains and soft furnishings cleaning, the National Carpet Cleaners Association (NCCA) was set up in 1968. It is now an authoritative industry voice and source of information and advice. The Association looks after the interests of its members, while encouraging and promoting best practices to deliver the highest quality of cleaning care to customers. NCCA members are fully insured carpet cleaning companies and professionally trained technicians who have signed up to the Association’s Code of Practice in all their business dealings. Apple Clean are members of Checkatrade, a huge nationwide network of thoroughly vetted tradespersons. The network is free to use for anyone looking for reputable suppliers, and feedback is actively encouraged. Checkatrade have stringent quality control and vetting procedures that companies will have to comply with to meet the Checkatrade Standard, before being accepted as members. With over 2,500 customer reviews received for Apple Clean, we’re delighted that our quality rating – comprising reliability & timekeeping, tidiness, courtesy, workmanship and invoicing – is an average of 98.9%. 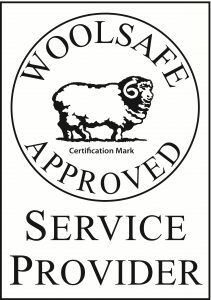 Apple Clean is thrilled to be carrying the WoolSafe Certification Mark; we are members of the network of Approved Service Providers. The WoolSafe Organisation is a service provider for the professional cleaning industry. Its purpose is to promote best practice in carpet and rug cleaning through a programme of evaluation, training and certification. Set up in 1991, the certification mark is a globally recognised sign that stands for the standard of excellence and safety in the use of carpet care chemicals for wool as well as advanced generation synthetic carpets. Representing over 50,000 members in more than 25 countries across the world, the Institute of Inspection Cleaning and Restoration Certification (IICRC) is an international certifying body for the inspection, cleaning and restoration industries. ICRC certification, a mark of technical proficiency and high ethical standards in all the cleaning work we carry out.